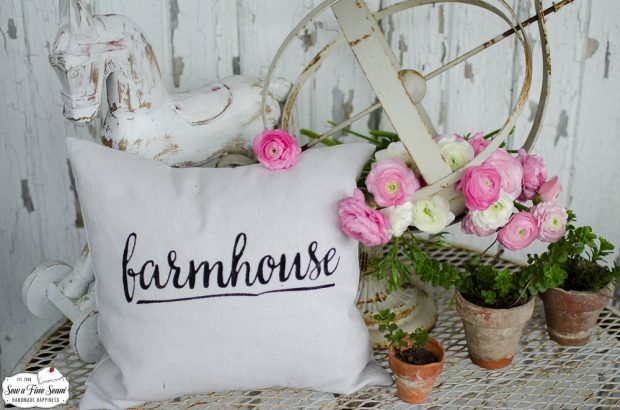 Last summer I introduced some new, smaller size pillow designs. I took my original designs from my larger pillows and began making them smaller for the smaller size pillows. 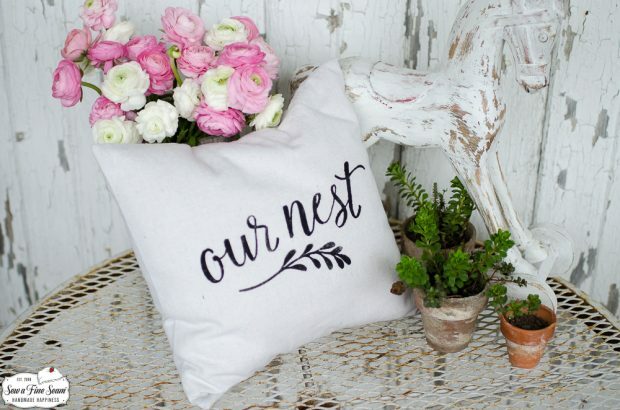 These are perfect for a kids room, an accent pillow along with the larger pillow designs, on a bed, a small side chair, or just about anywhere you want to tuck a fun, squishy pillow. I’ve been making a bunch more of this size pillow in preparation for my upcoming summer events, and I thought you might like to see a sneak peek of them! 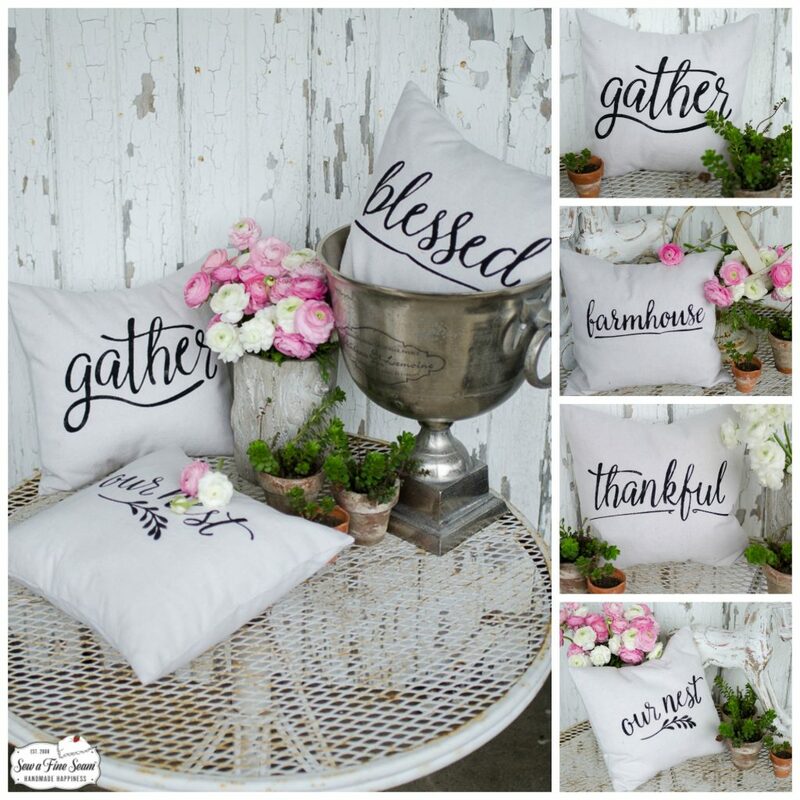 First up is my Word Art Pillows. The size of this pillow is 14×14, and includes a down alternative insert that is just wonderful. Heavier than regular polyfil, they feel almost like the feathers I use for my large size pillows. All of these designs are also made on my large size pillows too. They turned out so sweet and fun in this petite size. 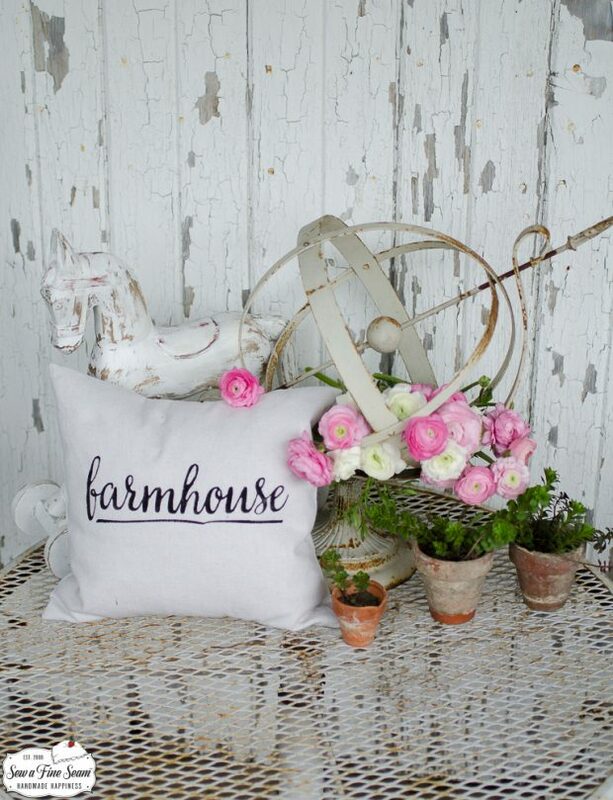 Our Farmhouse pillow makes a fun addition to your entry, your family room, your kitchen…… in any favorite room in your farmhouse! 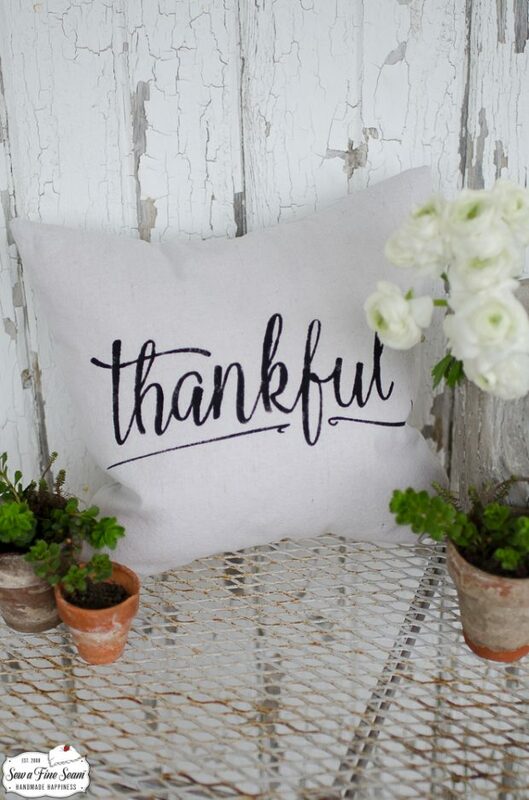 This pillow reminds me to pause in gratitude for all the blessings my life holds. 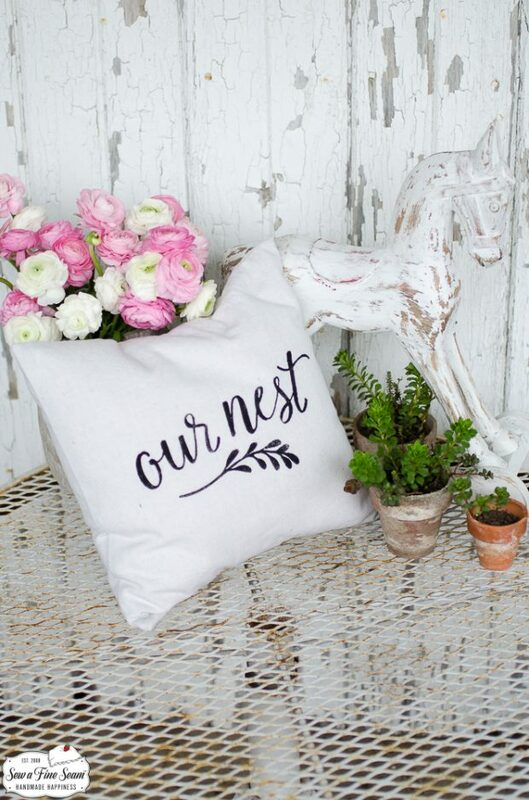 Snuggle in with your favorite peeps and let this pillow proclaim that this is “Our Nest”. Do you have a favorite place in your home to gather? 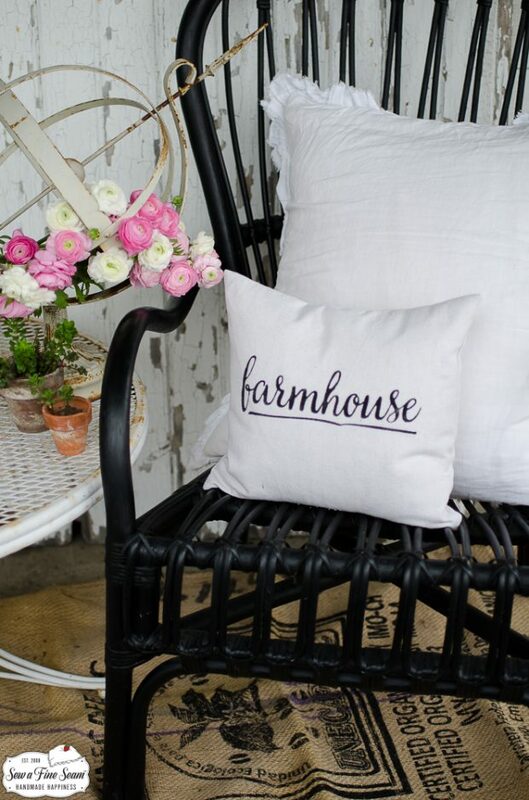 A favorite cozy spot that makes your heart happy? 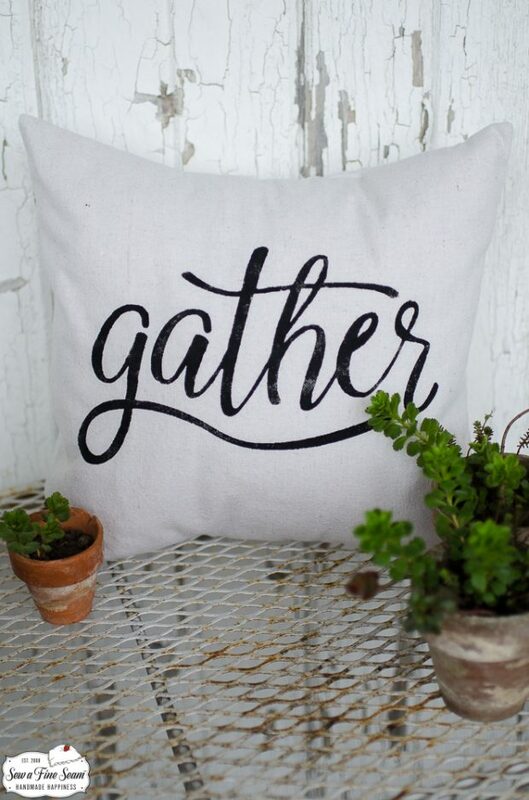 This gather pillow would be happy to reside there to call everyone in. There will always be something to be thankful for! 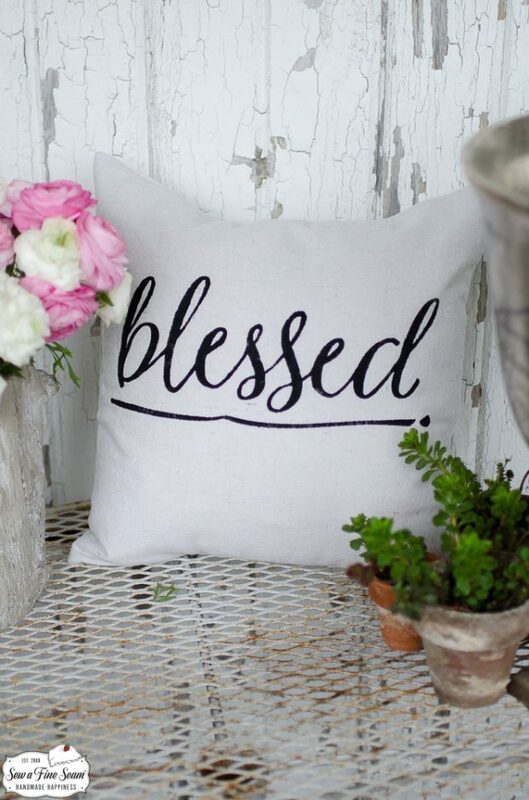 Let this cozy pillow cheer your space and toss out a happy reminder every time you read it! You can find these pillows for sale here. They can also be available at local shops – please contact me for availability.